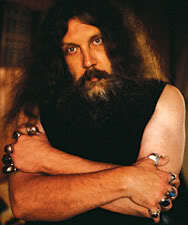 You know, I'm expecting quite a bit of comics news this week due to the San Diego Comic-Con, but I never expected news to come from Alan Moore, since Moore hasn't been to a convention since something like 1987. And then Wired.com puts this up, and the Internet comics community has cracked in two. Uh. Well, this one's quite a pickle. 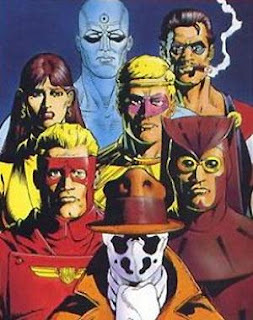 For those not in the know, Alan Moore and Dave Gibbons did Watchmen in the 80s, signing over the rights to DC under the condition that if it ever goes out of print for a year, the rights would revert to Moore and Gibbons. Keep in mind that at the time, trade paperbacks were incredibly rare, and the prospect of a collection not going out of print for a year was unheard of. So, of course, DC made sure that Watchmen was the first trade paperback to never go out of print. Moore got pissed, and, though he didn't quit DC over that, it did contribute to his eventual departure. Moore has been approached over the years to do Watchmen-related spinoffs and products. 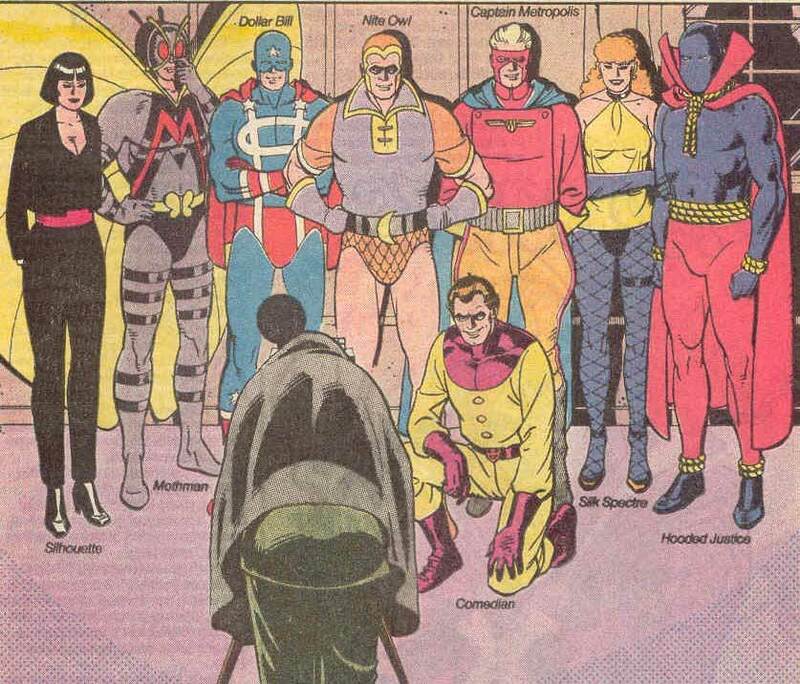 In fact, he and Gibbons contributed to the Watchmen RPG back in the 80s, and as recently as 1988, he and Dave were thinking of creating a Minutemen prequel. My thoughts on this can be seen here. A sequel, however, using the five main characters of Watchmen, always seemed to be out of the question, and over the years, Moore and I think Gibbons as well have come to the (I think correct) conclusion that any additional products for Watchmen could only hurt it in the long run, diluting the already considerable quality of the original book, and, most importantly, really be a creative waste of time. If Moore doesn't want to do anything, it's do a retread of his former work. He's always been a trailblazer, deconstructing superheroes before anyone else did and reconstructing them when everyone else was deconstructing them. Over the years, Moore has gotten more and more disenfranchised with DC and Watchmen in general. There's a lot of stuff that happened with DC when Moore was working for Wildstorm that turned him off completely to the company (and I don't blame him at all), and he has seen Watchmen as the starting point for much of what's wrong with comics. Beyond starting the grim and gritty movement, it also, I think, spawned or aggravated some very questionable business practices, and Moore no longer even keeps a copy of the book in his house. When Hollywood optioned Watchmen for that horrible sham of a movie (and really? There are still people who think the movie was better than the book? Such stupidity is the price we pay for freedom, I guess), Moore gave up his share of the rights and told them to give it to Dave Gibbons. 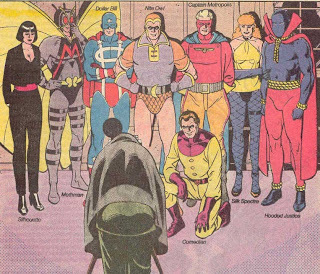 So what happened when Moore got the offer to get the rights to Watchmen back? He turned it down. And the Internet has cracked in half, with half the comics fans calling him a petulant, stubborn child, and half the comics fans saying he's displaying integrity. And of course, if he had taken it, you'd be getting "wise decision" from some fans and "sell-out" from others. Where do I stand on this? My stance is that your stance says more about you than it ever could about Moore. Look, I don't know Alan Moore personally. I've read extensive interviews with the man, but how much do you really get from interviews? There's a lot missing in there - tone, emotion, and the works - so you really can't judge the man fully from the written word alone. What I do know is that he's written some beautiful and uplifting stories and that he's my favorite writer ever, and that everyone who's met him has mostly good things to say about him. But we don't know the man personally, and those crying "integrity" could very well be right and those crying "petulant child" could very well be right as well. Only the people who know him personally can tell for sure. What I do know, from where I stand, is that, in this case, the treatment of Moore and Gibbons in regards to Watchmen (among other things) has always been wrong, and continues to be wrong. Beyond going through a loophole to deprive Moore and Gibbons of ownership from the get-go, they keep going back to this well, going back to Moore as if he all of a sudden changed his mind. They continue to piss him off by giving him terms that they know he'll never take and screwing around with the production of his comics. Moore has left DC twice in anger. Can you blame him? I sure can't. It's a company in an industry that takes its creators, spits them out, and leaves them for dead. Yeah, I'm sorry, but are you kidding me? Giving Moore the rights to Watchmen under the caveat of being involved in prequels and sequels to it isn't a noble move by DC; it's a weaselly one that places profits over art. It's like Pantheon Books telling Art Spiegelman to go and make a sequel to Maus because it would make money. And I'm sorry, but for "the creative vision of any proposed new stories" to "match the quality set by Alan Moore and Dave Gibbons" means innovation and the creation of something new, not the retreading of old characters and plot points. If you keep wanting to see a Watchmen sequel, I'm sorry, but I very honestly think that you completely missed the point of the book. If you love Watchmen so much that you want to honor it, then honor its spirit and create something new. Innovate. Pioneer. Strive to change and create a new sandbox. Personally, I'm glad Moore didn't take the rights. Though I can't personally vouch for the man's integrity or stubbornness, I do know that I myself would never have taken the same deal under these conditions. 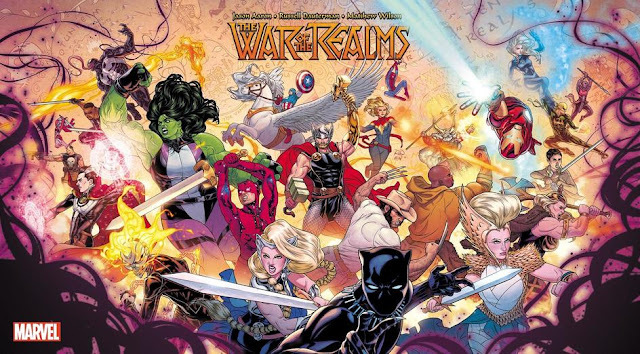 If Moore doesn't need the money and the royalties he gets from reprints of the material amount to just the same as if he owned the rights anyway, I'm glad he's saving himself the trouble. Plus, Moore regaining the rights would mean he'd have to deal with these industry executives again. He's probably really just saving himself the trouble. Quick! 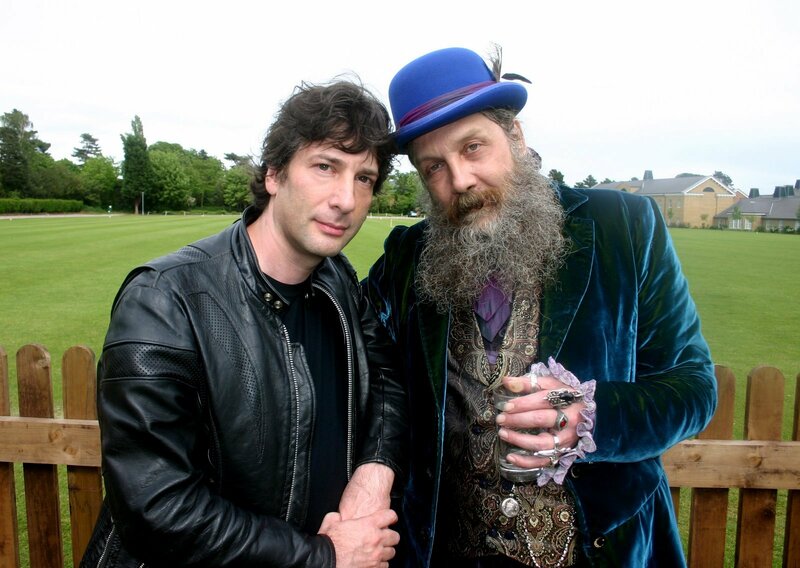 Someone ask Neil Gaiman what he thinks! "We give you back the rights if you do what we say with the characters? I'm not sure how that's 'getting back the rights' if you've lost the right to not work on a sequel. You go, Alan. At this rate, DC comics will be closing their doors for good in a few months anyway, and the rights will revert to Alan for pennies on the dollar at the bankruptcy sale." Which is exactly right. I know there are people thinking that Alan is foolish for not taking the deal since DC can publish sequels and prequels any time, but what's even more foolish is signing to a deal that is exactly the opposite of what you wanted in the first place. This news makes me angry. DC has gone to the dogs. Is this how DK 2 happened? Because if it is, then I wish nothing but to see DC burn. There is the fact that Miller already did Spawn/Batman for DC (taking place in the continuity of DKR) in the mid 90s, so he definitely kept it open. Unlike Watchmen, which is as closed a superhero story as you're going to get.